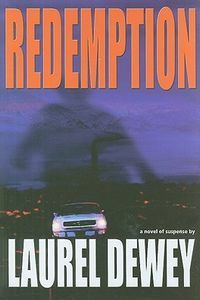 Redemption by Laurel Dewey: Synopsis and Online Purchase Options. Synopsis (from the publisher): Jane Perry has resigned from the Denver Police Department and is trying to make a living as a private investigator, but she finds her past haunting her at every turn and her old demons rising up to torment her. Seeking some level of comfort at an AA meeting, Jane encounters a woman who knows what Jane does for a living. The woman wants Jane to drive with her from Colorado to Northern California in search of a man who matches the description of the killer who murdered her granddaughter many years before. She's convinced that the man has started to kill again and she wants to stop him. Jane thinks the woman is crazy--especially when she discovers that she's a New Age devotee--but Jane is desperate for work. They head on the road, gathering critical information about the killer, and themselves, along the way. Jane has recently experienced several events in her life that seem to border on the paranormal, though she is a complete skeptic in that regard. Now, those experiences come with greater frequency. And when the trail of the killer leads to a fundamentalist church, the consequences of belief and faith propel her toward a deadly confrontation.